This is the first fashion week I haven’t been to in years – and it feels weird. I’ve been so busy with work and home lately that I couldn’t fit it into my schedule. My next dilemma, I didn’t want to leave fashion month out of my blogging schedule. For one, my blog started because of my love of fashion and seeing the collections twice a year. And two, I love British design and I wanted to continue to give them support. That got me thinking about this post. Although I’m not there I know a bevvy of beautiful bloggers who have all been down to view the collections – I thought I’d give you a little round-up of their favourite shows and emerging trends! 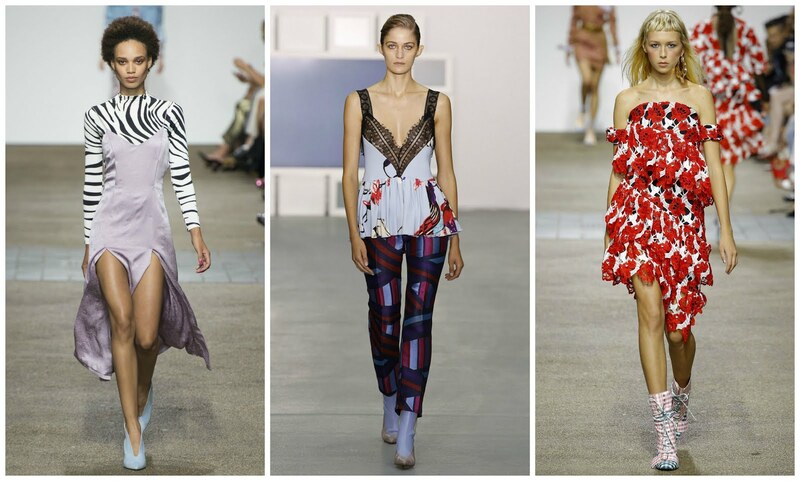 “My favourite trend was the long flowing silhouettes seen at Roksanda and Eudon Choi. Lots of light materials, like silk, and subtle colour palettes. I think it’s really adaptable to wear now too. “As far as trends go, I’d say both the resurgence of metal frames in eyewear and the reworking of the classic everyday items. I’ve always been a big fan of the humble shirt for some time but never thought to wear it differently until now! “Out of the shows that I managed to attend, my favourite was categorically Ashish (although I also really enjoyed Ashley Williams and Clio Peppiatt). “I am, as always, a big fan of Topshop Unique and loved the ‘80s inspired cool-girl edge. My obsession with leopard print has now had a serious update thanks to the zebra print and hot pink hues that stylishly glided down the catwalk last Sunday. And now, thanks to the thrill and changing landscape of fashion, I am able to buy into this segment of spring now. Hurry up payday, where you at! "A Trip to Île de Ré"
"Your New Season Ankle Boot"
This was such a great post! I love seeing what some of my fave blogger babes thought of this season's shows, such a cool way to recap fashion week <3 I have to agree with Hannah, I loooved Clio and Ashish!